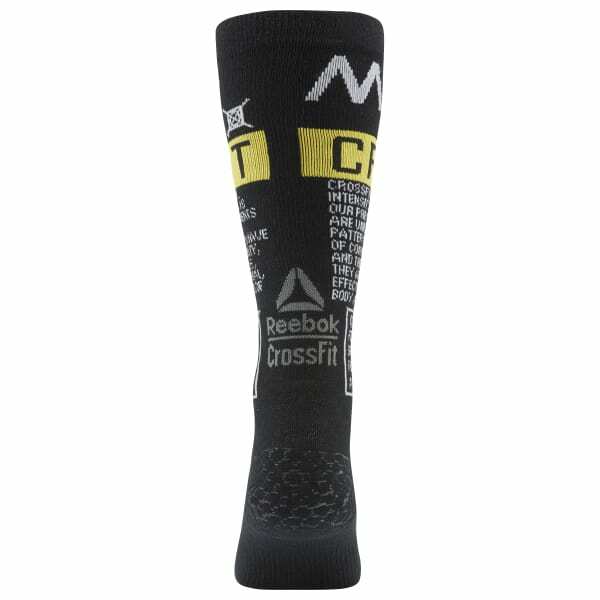 These men's crew-length socks are designed for the intensity and variety of CrossFit movements. The rib-knit socks are thin and stretchy, with mesh panels for ventilation. The cushioned toe and heel add comfort on double unders and box jumps.